Gold Is Not Where You Find It! 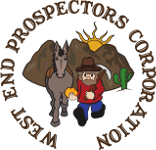 | West End Prospectors Corp.
Gold Is Not Where You Find It! I am always dismayed when I read of fellow detectorists who say that they have yet to find a piece of gold after one year, two years, etc. I am to the point now where I find gold almost every time I go detecting. I may get skunked 1 out of 20 times. That 1 time is usually when I am prospecting totally new ground, and just have not hit a new area yet. We all know the saying, "Gold is where you find it." I think that statement is wrong and very misleading and harmful. In fact I think it may give newbies the wrong impression about prospecting for gold. It implies that gold is randomly dispersed, and if you do happen to find it, it is only by some coincidence or luck. Nothing could be further from the truth. Finding gold is a science and an art executed by people with the skill and experience that know what they are doing.